← Welcome to the Neighborhood! Some fear the possibility of the famous park becoming privatized. This story was published Jan. 8 in Our Town Downtown. Fans of one of the city’s most iconic parks are concerned that a newly created Washington Square Park Conservancy will exert undue private control over a public space known for its laid-back, gritty atmosphere. People who flock to Washington Square Park do so to revel in the pocket of nature in the West Village, for sure, but also to watch unlicensed street performers, take a snooze on a shady bench, engage in people-watching of the most varied order and sometimes sneak sips from brown paper bags or follow plumes of sweet-smelling white smoke. It’s a park for students, drifters, skateboarders, tourists and New Yorkers of all stripes, and many want to keep it that way. Historically, when conservancies pop up for NYC parks, the results can be beneficial, but also bring some complaints. A 2010 report by Harvard Law School said that private groups participate in the management of half of the city’s 1,700 public parks. Such conservancies have also been praised as protectors and preservers of public space. The study says that critics of public space being privately controlled often say conservancies and the like become unresponsive to community needs as they relate to public space, but the study takes the position that frequently, government agencies, like the parks department, are just as unresponsive to such needs. According to Cathryn Swan, who runs the Washington Square Park Blog, the founding members of this new conservancy presented their plans to the community as a benign organization seeking to simply spruce up the park. The reality, she claims, is something different. Swan’s referring to the non-profit application the conservancy filed with the IRS, which projects fundraising revenue in the hundreds-of-thousands of dollars in the coming years and includes the ability to award an up to $25,000 bonus for its executive director, who is a parks department employee. The conservancy’s bylaws, which were made available to The Villager newspaper and posted on their website, calls for a board of anywhere between three and 25 members who will vote on a wide range of initiatives at the park. The conservancy’s executive director is Sarah Neilson, the parks department’s administrator for Washington Square Park. 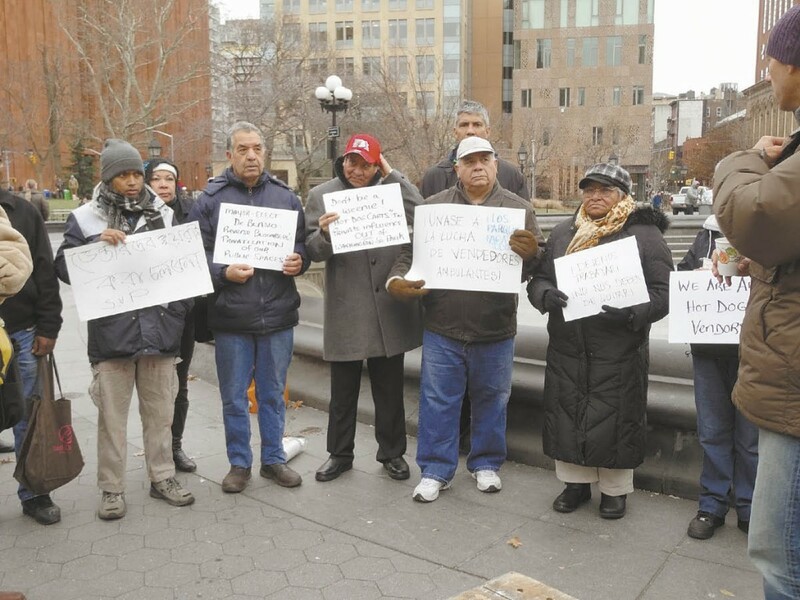 Swan said the community has resisted pressure to form a conservancy at Washington Square Park for the past 12 years, but that this attempt was successful because of the way it was presented to residents and the community board by the four founding members. A major issue for Swan is the relationship between the parks department and the conservancy. In their pitch to Community Board 2 and residents, founding members Betsey Ely, Gwen Evans, Veronica Bulgari and Justine Leguizamo stated they would have no formal agreement with the parks department, including a crucial licensing agreement whereby the parks department could shift operational and maintenance duties over to the conservancy. In an interview with the Villager, the conservancy’s Ely said Evans’ email to the parks department was a joke and taken out of context. Neither Ely nor any other conservancy members responded to requests for comment from Our Town Downtown. Swan points to another sign of what she considers the conservancy changing the nature of the park – the city recently decided not to renew licenses for two hot dog vendors that expired at the end of December. Critics of the decision believe it was really made by the conservancy in an effort to attract more cultured – and pricier – food options to the park. Geoffrey Croft, President of NYC Park Advocates, said he received calls from angry parks department employees who said Ely made the decision to move the hot dog vendors out of Washington Square Park, contradicting the department’s official stance. Like Swan, Croft believes the conservancy could eventually have real power over Washington Square Park backed by its fundraising efforts. This entry was posted in News and tagged Cathryn Swan, Washington Square Park. Bookmark the permalink.